What Barcode Printer is Best for Your Business? 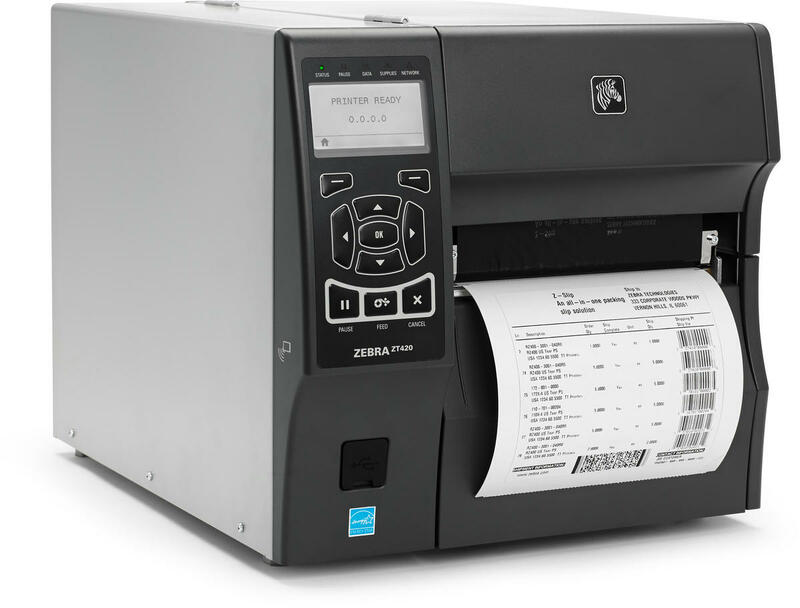 Home / General / What Barcode Printer is Best for Your Business? Barcode printing is probably not something you think about very often. Just because you aren’t thinking about it, doesn’t mean you shouldn’t be. The applications for barcode printers are almost endless, from checkout lines to stocking supplies, or even processing police tickets. There are many ways that barcode printers can help your business, and the market is growing. To get the most from a barcode printer you need to get the best one for your business. One of the first questions to ask is why do you need a barcode printer? Just about any organization has assets in the form of equipment, tools, computers, etc. These are items that are needed to operate the business and in turn get business accomplished. As a business owner you need to track these assets for a variety of reasons: accounting/auditing, avoiding loss and theft, and more simply just knowing where they are so they can be used when needed. You might be tempted to use a manual based system like pen and paper or Excel to track your assets. Human error when entering data, along with the chaos of multiple users editing the information, makes those options unreliable. Human data entry can have an error rate of one per 300 characters, whereas, barcode scanners are virtually error free with only one error in 36 trillion characters. One of the easiest and most efficient ways to track assets is with barcodes and a barcode printer. If you are in retail and manage inventory you are already using barcodes at checkout counters to process information and you are probably using a barcode printer to print receipts. However, depending on your company you may need to use barcodes in other ways to track your inventory along the supply chain. For this you might want to be able to create and print your own barcode labels or have your supplier print them. Human data entry can have an error rate of one per 300 characters. Now these just scratch the surface of barcode printer applications. Medical companies and hospitals are using barcode printers to create specialized labels. Monster truck parts manufacturers use special barcodes to track small items and assemblies. Police departments around the country are starting to use barcode printers to print tickets. What will you be using the barcode printer to do? What kind of environment will you be using it in? How often will you be printing barcodes? What kind of network connectivity do you need? What kind of barcodes do you need to print? How much data do you need to encode? What type of data do you need to record? What size label do you want to print? Do you need long-lasting or short term barcodes to label products and assets? What kind of interface do you feel comfortable with? With a good handle on what you need the barcode printer for, you can begin analyzing the many, many options you have. While each barcode printer model has different capabilities and strengths and weaknesses, there are some broad categories that differentiate the type of barcode printers you should be looking at. Dot Matrix: One of the oldest methods for printing barcodes, the barcode is made by small dots (hundreds or thousands) printed in a matrix to make the lines and spaces that are barcodes. They are easily accessible and less expensive, but can produce sloppy and unusable barcodes, they are slow, and cannot produce the newer types of barcodes. Inkjet: Often used for high-volume printing because of its speed and ability to also print human readable font. However, installation can be costly as can maintenance. Laser: Laser printers for barcodes operate similar to regular laser printers or copiers. They can print at high resolution and can also be used for regular printing jobs. As a barcode label maker though they can be poorly suited for industrial locations and the durability of labels is questionable. Direct Thermal: Heating elements are used to create rows of dots through a chemical reaction between specially treated material and the printhead . It results in sharp, print quality, and easily scannable barcodes. Generally more durable than Dot Matrix or laser printers. 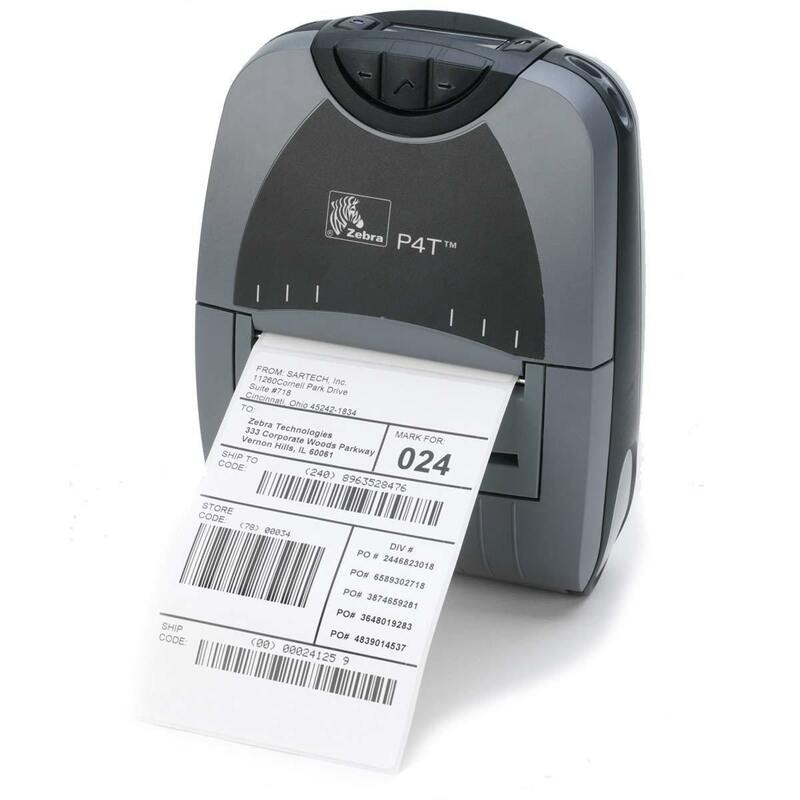 Perfect for labels or barcodes with a short shelf life, like shipping labels, receipts, tickets. Thermal Transfer: Similar to direct thermal, thermal transfer uses a durable, ribbon that transfers the image in its entirety onto the barcode label material. 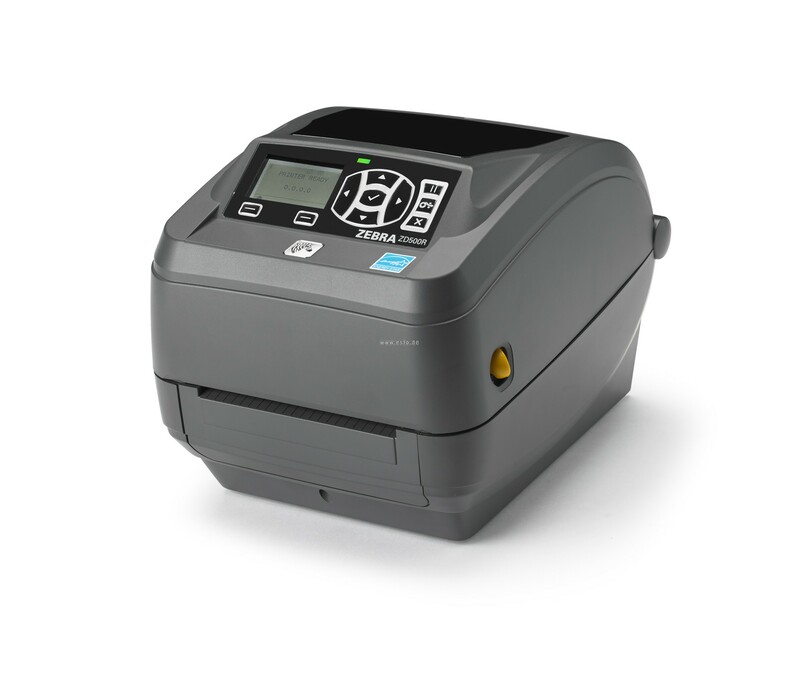 While slightly more expensive than direct thermal, this printer creates labels with a long shelf life, ideal for asset tracking. Industrial printers: This refers to printers designed for use in a warehouse or an operation where they need 24/7 printing capability and the ability to print large quantities quickly. As such, these are more expensive, larger, and rugged. Desktop printers: These are printers designed for the office or desktop. They are good for companies that print regularly but not in high volume. Mobile printers: These printers travel with you wherever you go. They are great for inventory or warehouse operations where workers need to create labels on the go. They can be used to print tickets or receipts. They have many potential applications, but their mobility means they are often slower, smaller, and more specialized in application. USB (corded): Connects via USB, limits how far the printer can be from the computer or user. Parallel (corded): Similar to regular printers. Ethernet: Using an ethernet port means that the printer can go online and be accessed via a company network as well as connect directly to a computer. Wireless/Wifi/Bluetooth: Using wifi or bluetooth technology these printers don’t need to be directly attached to the computer or scanner. Once you’ve determined the type of barcode printer that you need, the last question is picking the right model. Consider factors like price, quality, manufacturer, etc. Look at some comparisons, there are many resources out there that can help you explore different barcode printer options. How would utilizing a barcode printer allow your employees to save time tracking important company assets?